In what is being called the “largest ever wildlife haul in the country”, more than four tons of endangered turtles were rescued by police who busted a smuggling ring in India earlier this week. 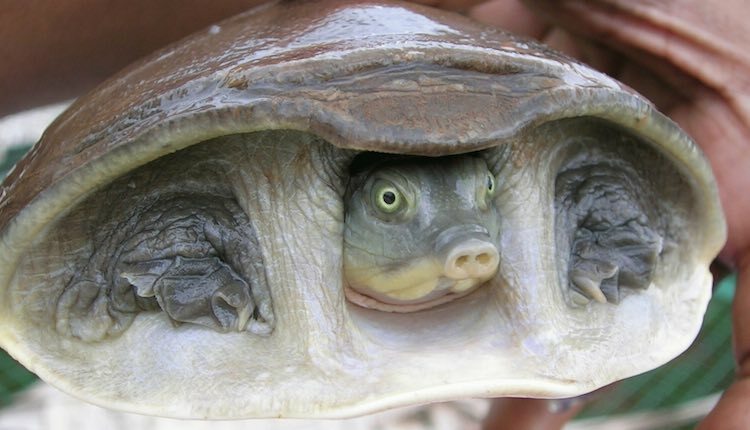 6,430 freshwater flapshell turtles were discovered stuffed into 140 jute bags in Uttar Pradesh on the way to Southeast Asia. “Wildlife authorities confirmed that this is the largest haul in the country’s wildlife history, both in terms of number and weight — 4.4 tonnes,” Arvind Chaturvedi, head of the state’s Special Task Force that rescued the turtles, told AFP. Though flapshell turtles are protected by the Endangered Species Act, thousands are smuggled out of the country every year. Their meat and shells typically sell for 1,000 to 8,000 rupees ($14 to $117), depending on the size.